Wing Commander 4 is one of the greatest space sims of all time, and some even consider it the greatest one of all. It is one of those games that did everything right. This is one of the few games that actually successfully manages to integrate a lot of FMV into the action, mostly because it uses trained film actors and directors. The combat is straightforward, fluid, and entertaining. The characters are as believable and memorable as they come. The orchestrated music -- just perfect. Finally, its enthralling story is both deep and plausible -- a combination that is often lost in modern games. There is simply no reason not to play this game and, once you do start playing, you will find it hard to think of a reason why you should stop. 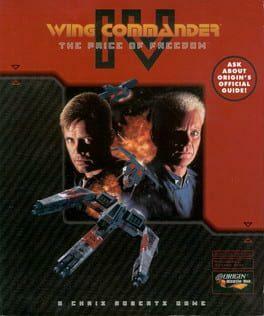 Wing Commander IV: The Price of Freedom is available from 5.69 to 5.69 from 1 shops.